Authentic Mexican dishes with a west coast flair. 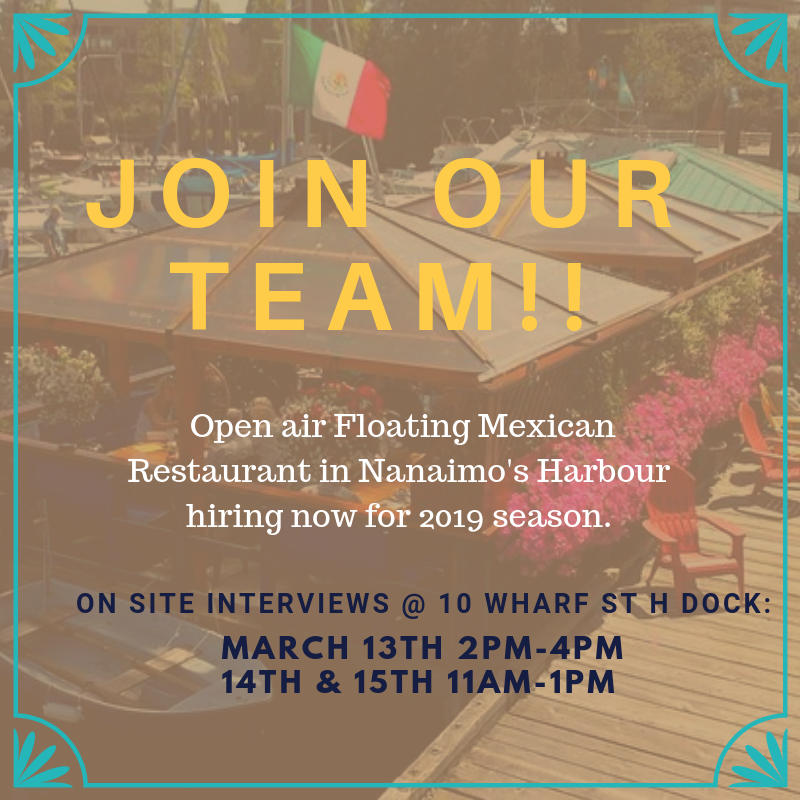 Customers from all over Nanaimo are drawn to the harbour, to enjoy the fresh summer breezes on our licensed floating patio. Our Tasty Tacos and Fresh-Squeezed Lime Margaritas will transport you to a warm tropical vacation. On cooler days we’ve got you covered. Heaters, blankets, and heart-warming dishes like Enchiladas and Tortilla Soup. #10 Wharf Street, Penny’s Palapa is located down on the Dock of Float H, in Nanaimo’s Waterfront Marina. Down the ramp closest to the Wharfinger’s office. Click on map for a custom tour of local amenities. Pioneer Plaza Parkade on Front Street is closest to the marina. The Port Theatre has a parkade located at the corner of Wharf and Front Street. Port Place mall has parking located on Front Street across from the marina.